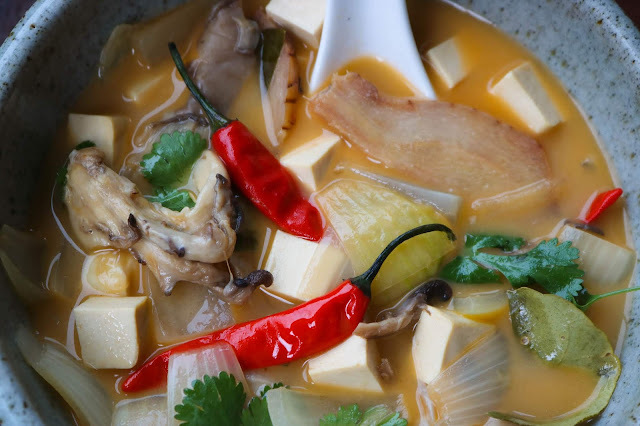 Tom kha taohu. 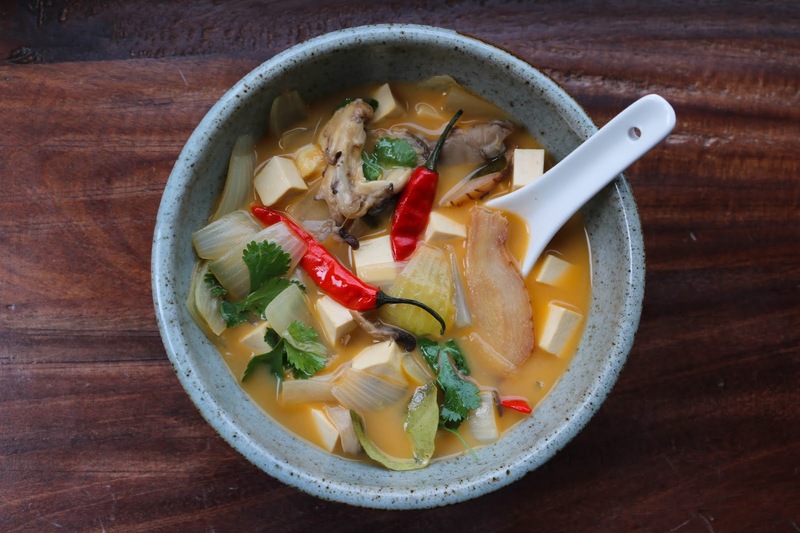 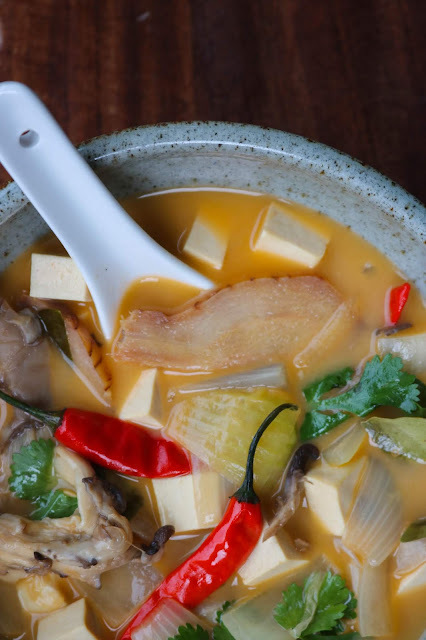 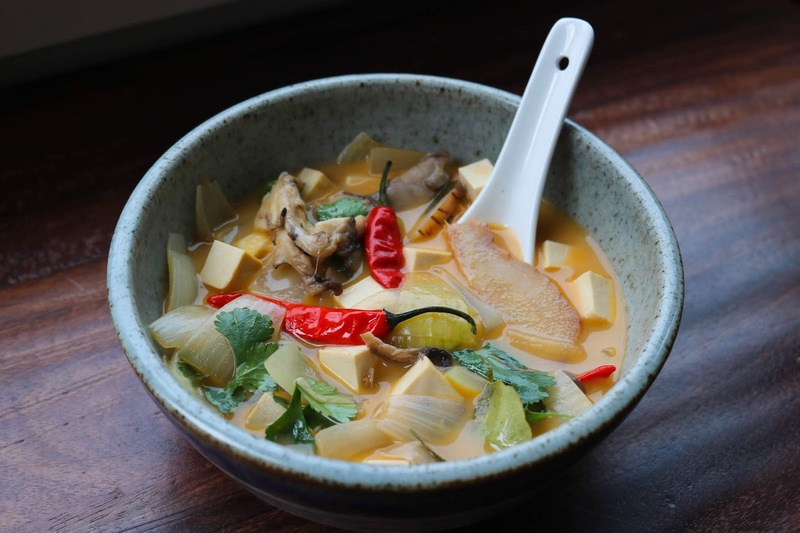 This spicy and sour soup can be served on its own, or with a side of rice. 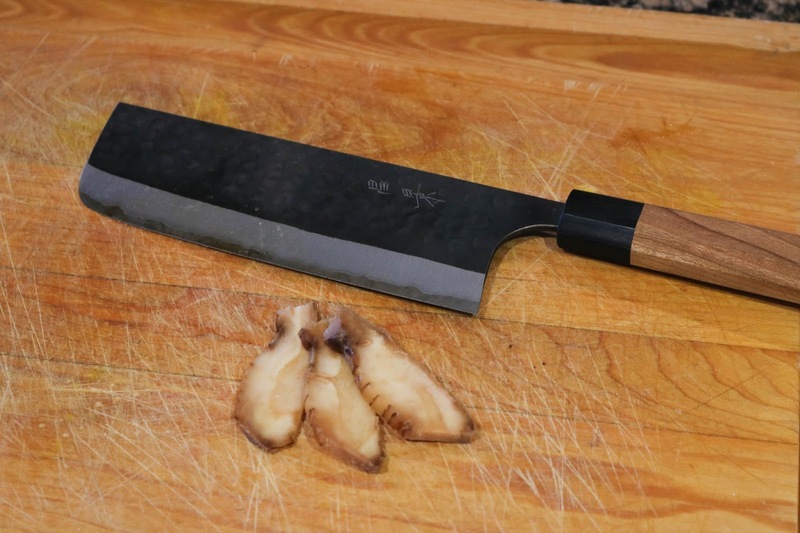 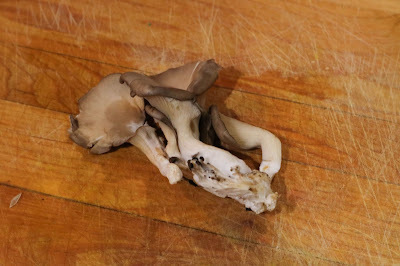 A variety of vegetables can be added in, and oyster mushrooms can be easily swapped for any other mushrooms (shiitake). I've prepared mine a little thin, but doubling the coconut milk can amp this up to an extremely creamy soup. 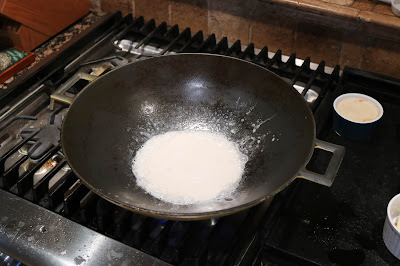 Cook rice if serving with rice. 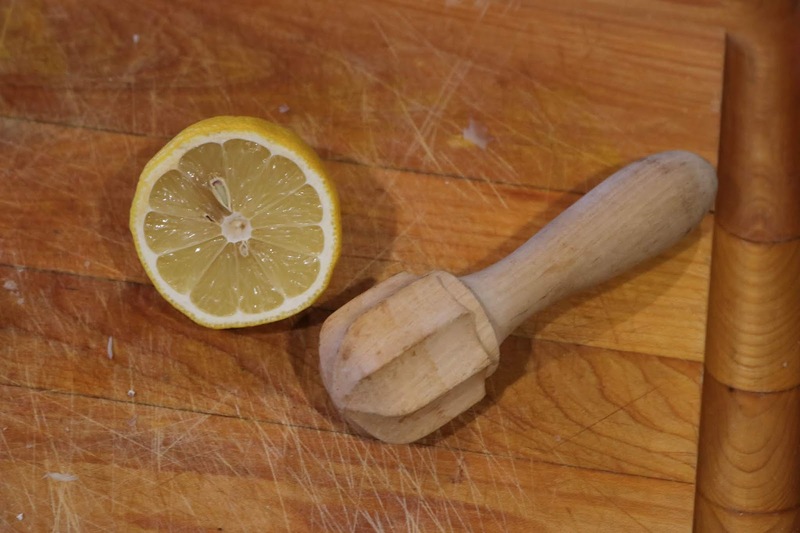 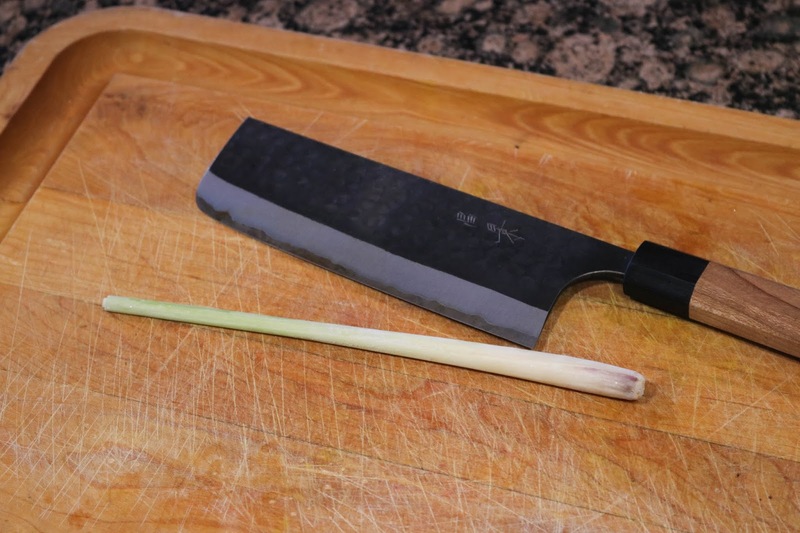 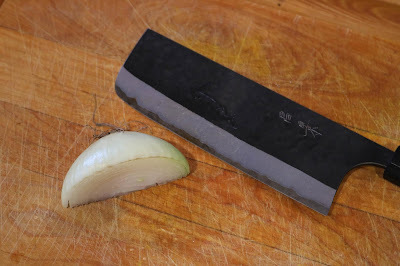 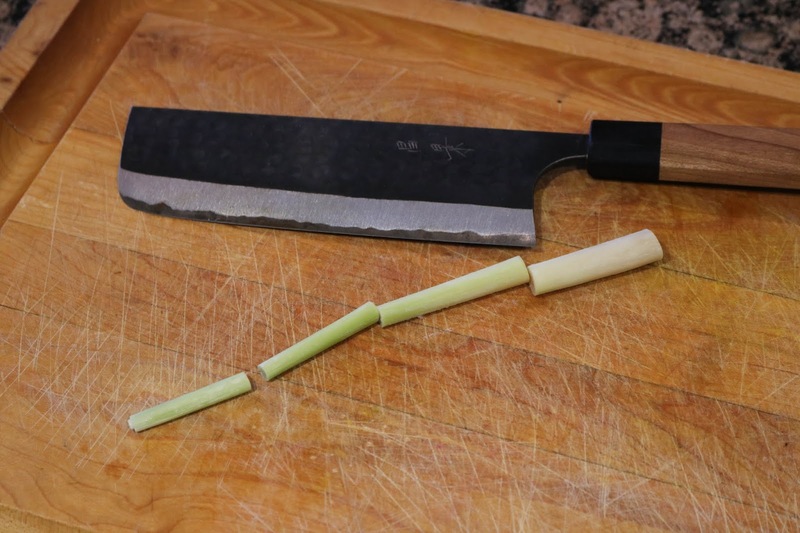 Cut lemongrass into 4 pieces and squish with a knife to release flavours (smell before and after to notice how much it helps). 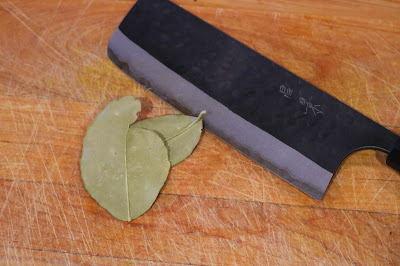 De-stem kaffir lime leaves. 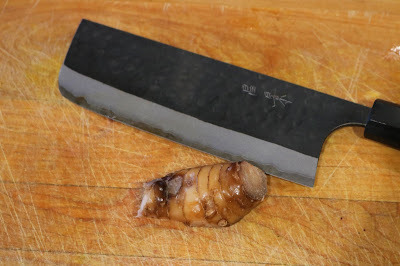 Slice galangal. 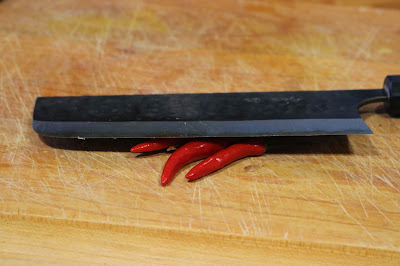 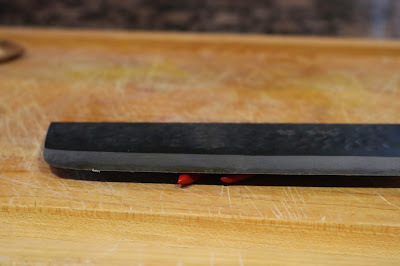 Squish red chillies with a knife. 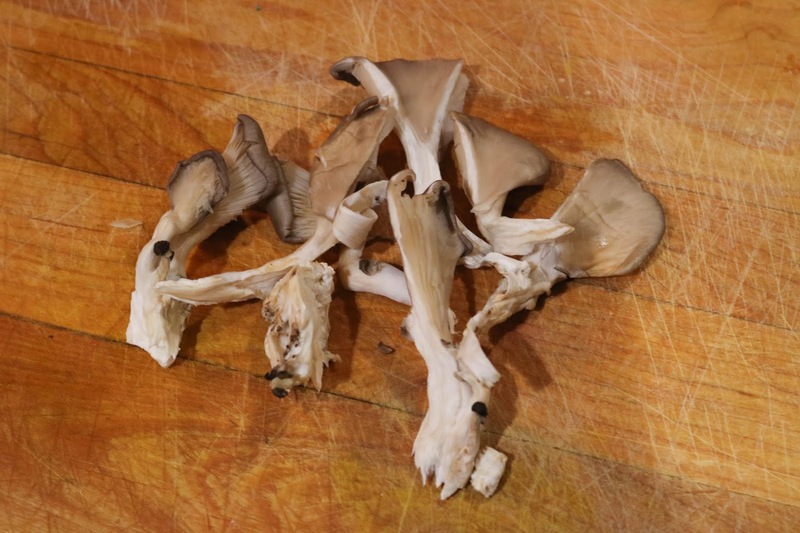 Tear oyster mushrooms into smaller pieces. 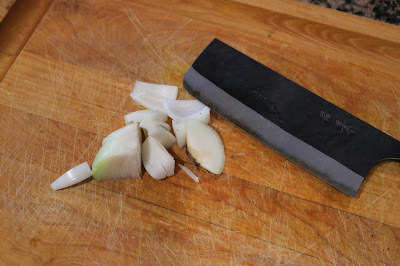 Cut 1/4 onion into 1" pieces. 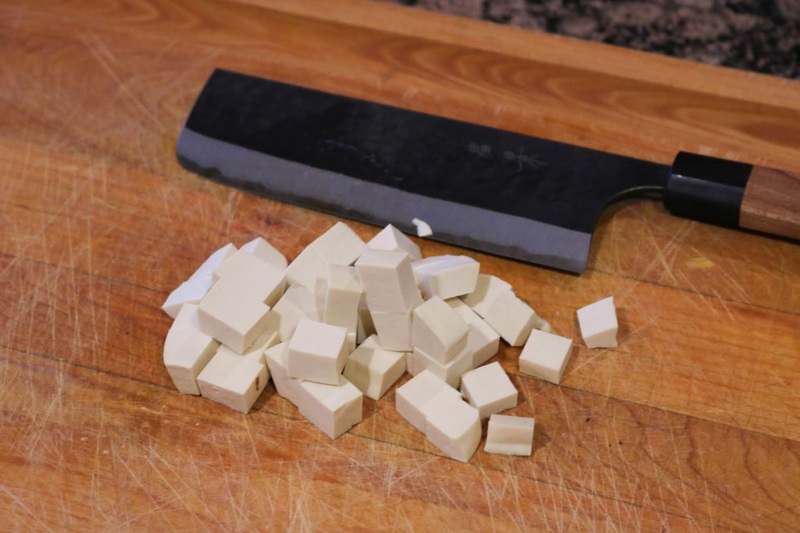 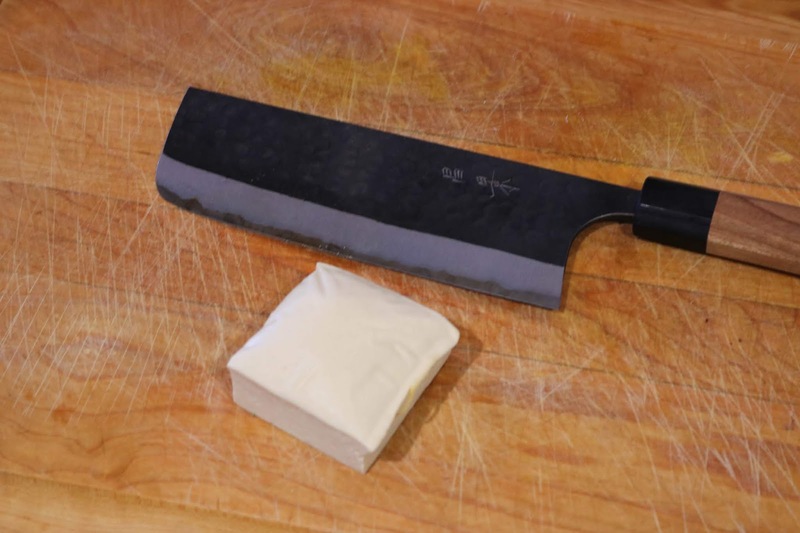 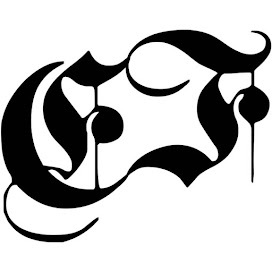 Cut tofu into 1/4" cubes. 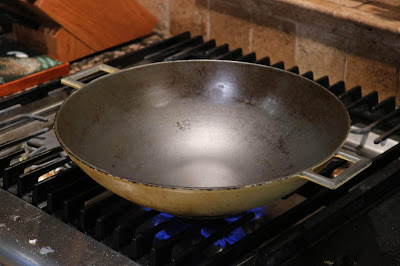 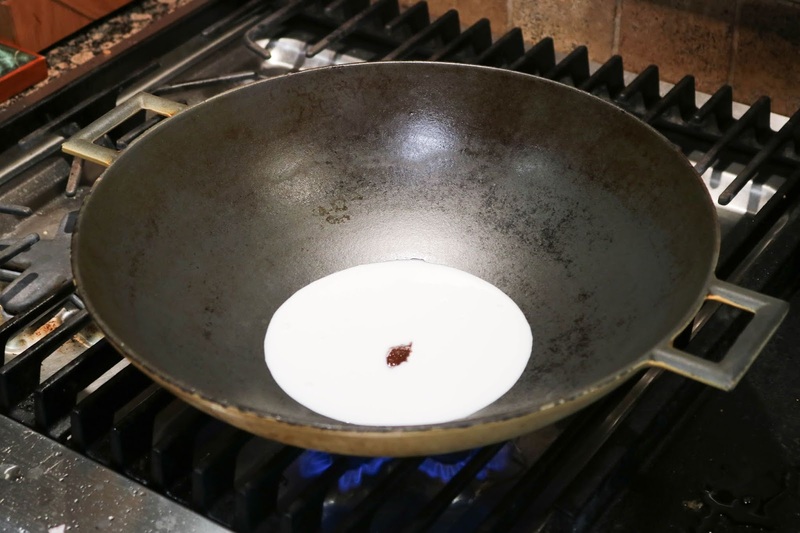 Heat wok. 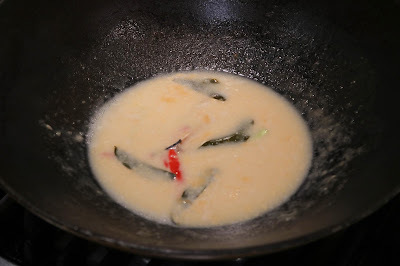 Add coconut milk and vegetable bouillon. 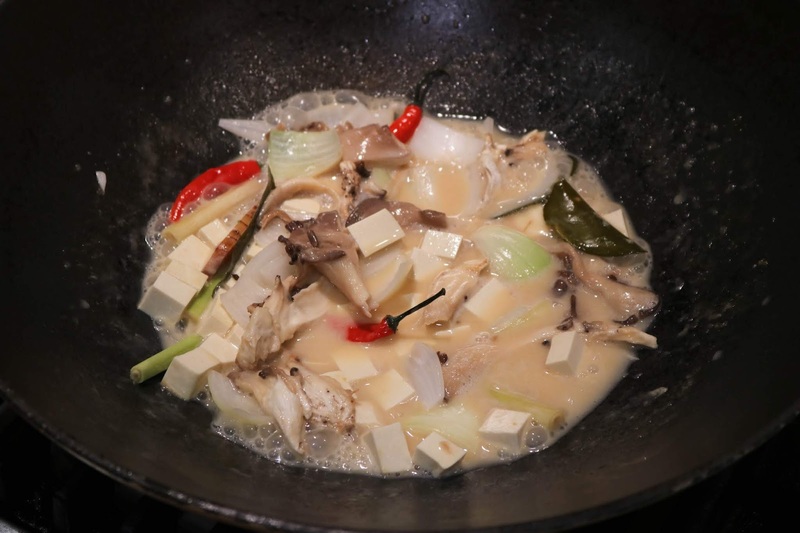 Bring to a boil, then add lemongrass, kaffir lime leaves, galangal and red chillies. 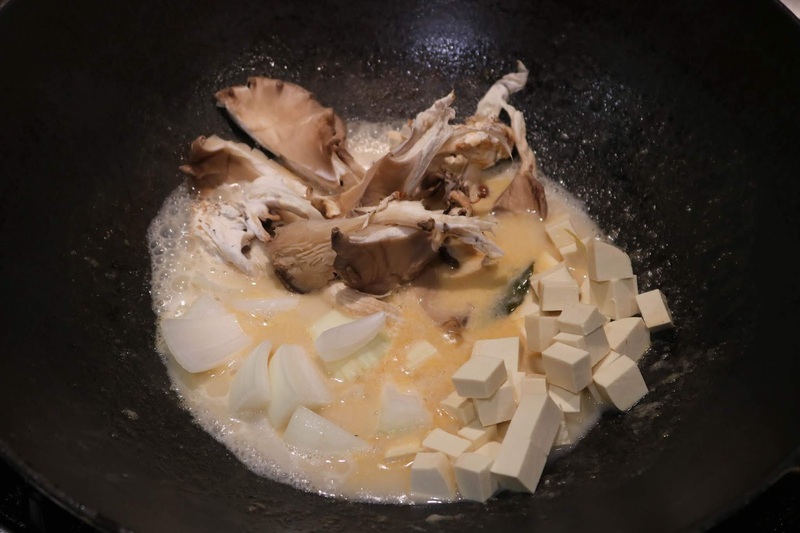 Cook for 3 minutes on med-high. 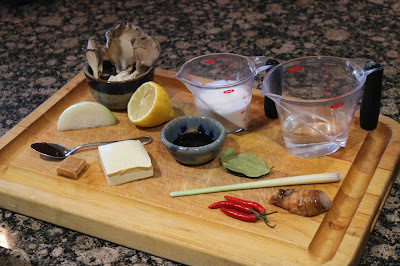 Add water. Add mushrooms, onion and tofu. Cook for 5 minutes on high. 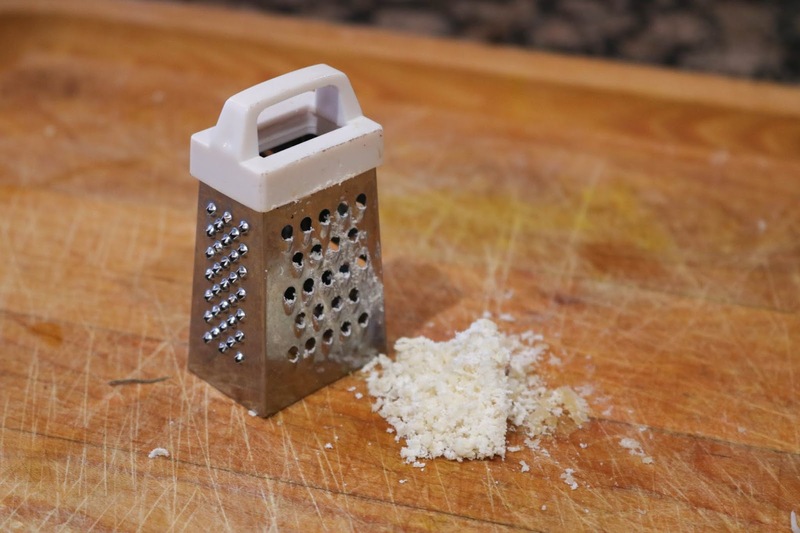 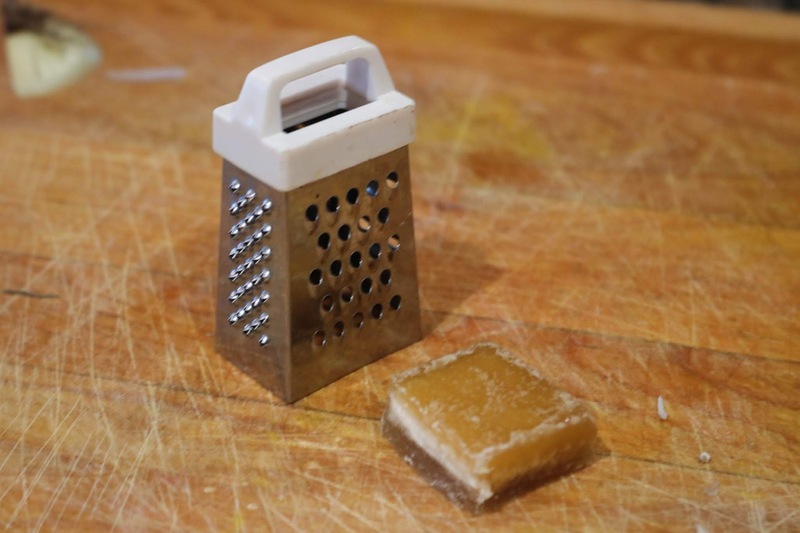 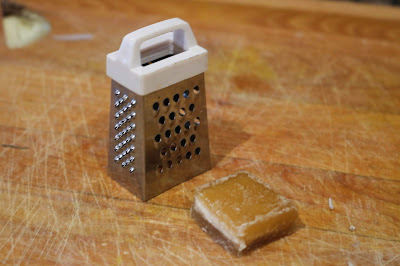 Grate sugar if necessary. 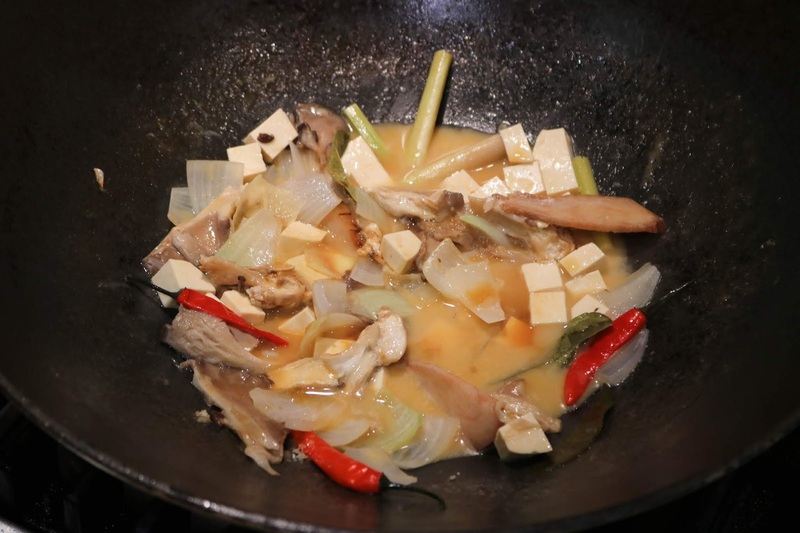 Turn off heat, then add sugar, soy sauce and lemon juice. 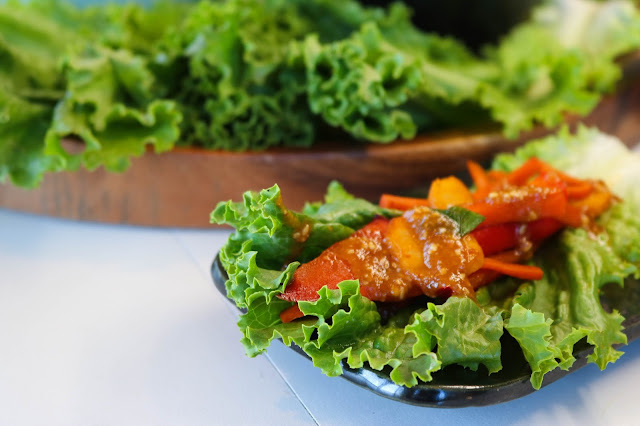 Top with cilantro and serve! 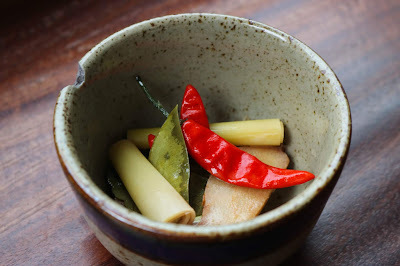 Serve with a small bowl to place galangal, lemongrass, kaffir lime leaves and red chillies in. These ingredients won't be eaten, but are left in the soup when served. 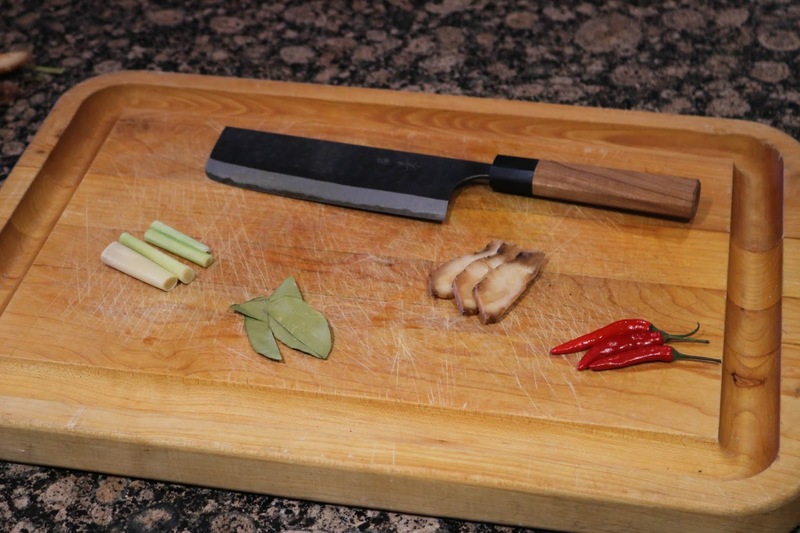 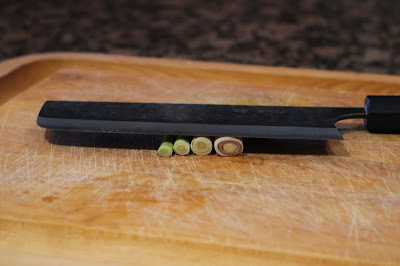 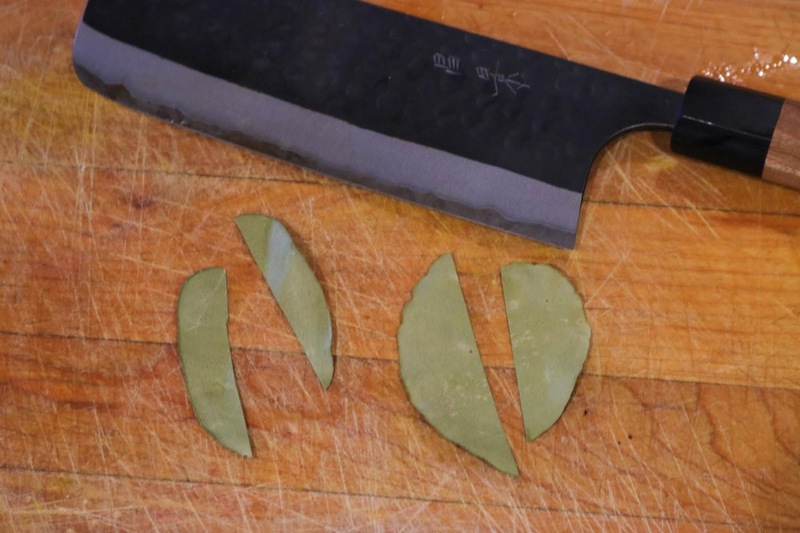 Cut lemongrass into 4 pieces. 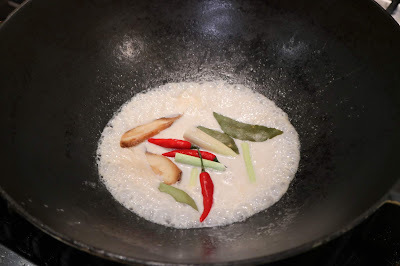 Add galangal, kaffir lime leaves, lemongrass and red chillies. Cook for 3 minutes on med-high. 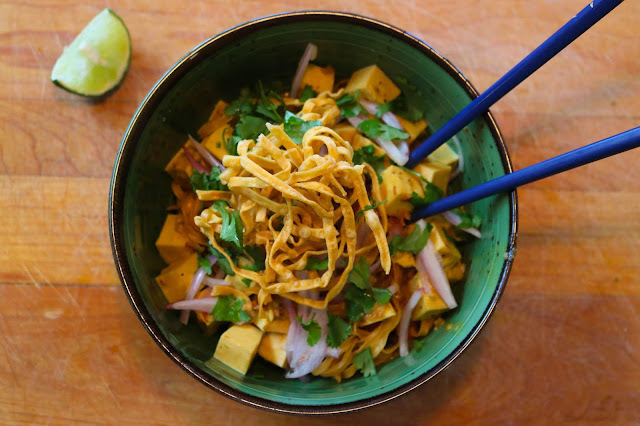 Top with cilantro and serve! Serve with a side bowl to toss lemongrass, kaffir lime leaves, galangal and red chillies.